SAN DIEGO, Calif. (CEDIA Expo 2018, Booth #5734) – Sept. 6, 2018 – Epson, the number-one projector manufacturer in the world, today introduced the Pro Cinema 4050 4K PRO-UHD1 Projector with HDR2 – offering an immersive 4K viewing experience with high brightness, extensive color and incredible detail. This premium home theater projector leverages Epson’s new, proprietary 4K PRO-UHD technology which features an improved version of Epson’s advanced pixel-shifting, resolution-enhancement technology,1 along with an expansive color gamut, high dynamic range and 100 percent balanced color brightness to display stunning 4K content with an extraordinary range of color and detail in every scene. “With expansive brightness, brilliant, color-rich imagery, and state-of-the art pixel shift technology, the new Pro Cinema 4050 4K PRO-UHD allows viewers to enjoy remarkable 4K UHD content that is nothing short of amazing” said Rodrigo Catalan, senior product manager, Projectors, Epson America. “The Pro Cinema 4050 offers an immersive viewing experience of movies the way they were meant to be seen – on the big screen with bright, full colored imagery and stunning resolution. With Epson’s proprietary 3LCD chip technology, unlike many competitive models, it has no rainbow effect. 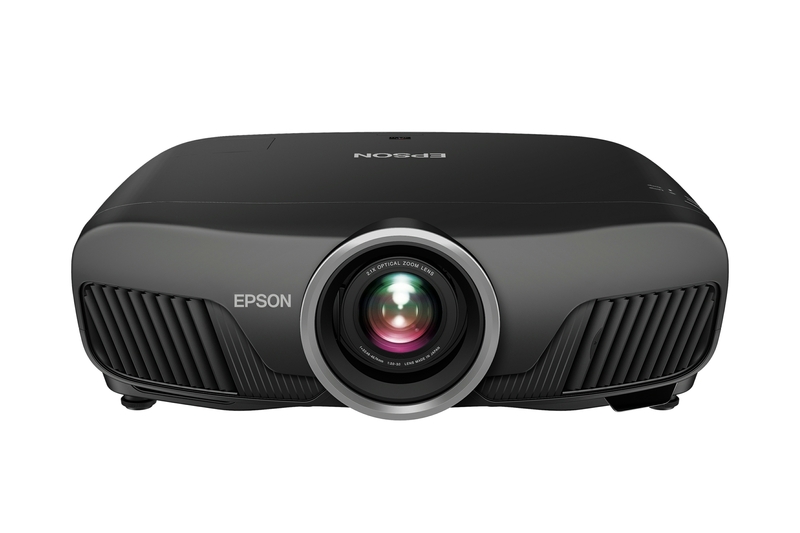 The Epson Pro Cinema 4050 is the first projector with Epson’s new 4K PRO-UHD technology. Epson 4K PRO-UHD features an advanced, high performance optical engine that generates high color brightness and white brightness, color accuracy, and dramatic contrast with HDR102. Paired with advanced lens capabilities, as well as the capability to receive, process and project native 4K using Epson’s advanced pixel-shifting, resolution-enhancement technology, the Pro Cinema 4050 delivers an exceptional viewing experience. Designed to deliver vivid imagery and crystal-clear pictures, the Pro Cinema 4050 touts an incredible 2,400 lumens of equal color and white brightness3, contrast ratio up to 200,000:1 and HDR102. Its expansive color gamut displays the entire DCI-P3 color space4 and Epson’s advanced state-of-the-art 15-element glass projection lens displays a bright, uniform image with virtually no hot spots or chromatic aberration. In addition, a wide lens shift range offers exceptional installation flexibility, with the Pro Cinema 4050 delivering a ± 96 percent on the horizontal axis and ± 47 percent vertical axis. This premium projector also includes a 12-bit digital processing chip with Frame Interpolation and proprietary Advanced Motion Control for smooth, crisp transitions between scenes. Pro Cinema Kit – Features a three-year limited warranty (90 days on lamps), a ceiling mount, cable cover, and extra lamp for added installation flexibility. The Pro Cinema 4050 4K PRO-UHD Projector with HDR is available for $2,399 MSRP through CEDIA dealers and Magnolia. The Pro Cinema 4050 features a three-year limited warranty (90 days on lamps), toll-free access to Epson’s PrivateLine® priority technical support, and free two-business-day exchange with Extra CareSM Home Service. The Pro Cinema 4050 will be on display and demoed at Epson’s booth #5734 at CEDIA Expo 2018, Sept. 6-8. EPSON is a registered trademark and EPSON Exceed Your Vision is a registered logomark of Seiko Epson Corporation. PrivateLine is a registered trademark and Extra Care is a service mark of Epson America, Inc. All other product and brand names are trademarks and/or registered trademarks of their respective companies. Epson disclaims any and all rights in these marks. Copyright 2018 Epson America, Inc.
1 4K Enhancement Technology shifts each pixel diagonally to double Full HD resolution. Resolution is Full HD in 3D Mode. 2 HDR performance available with select devices. For more information see www.epson.com/HDRCompatibility. 3 Color brightness (color light output) and white brightness (white light output) will vary depending on usage conditions. Color light output measured in accordance with IDMS 15.4; white light output measured in accordance with ISO 21118. 4 Entire DCI color space can be displayed in Digital Cinema Mode only.